If you have skype installed you can select the link below to call Dr Marc Johnson, Ph.D, MNCH.Reg, MFHT, DipCAH, HPD, CH, Dip.Psych.. I run a friendly practice serving North Wales, Cheshire, Wirral and Merseyside. My aim is to allow my clients to experience high quality, professional therapy in a comfortable, safe environment. I use a variety of techniques to make the client experience both effective and positive. Therapies are discussed with every client and a treatment strategy is customised with each individual in mind. I am a full member of both the National Council for Hypnotherapy (MNCH.Reg) and the Federation of Holistic Therapists (MFHT). I attend frequent training sessions to maintain Continuous Professional Development to ensure my clients receive the best therapies possible. In October 2018 I was also awarded a national award by the Federation of Holistic Therapists (FHT) in the category Complementary Therapist of The Year - Highly Commended for my work with victims of terrorism and subsequent psychological needs. After working in primary healthcare environments for many years (20+) and after studying psychology, I developed an interest in hypnotherapy. After qualifying as a hypnotherapist, I specialised in weight management, anxiety and stress treatments, Irritable Bowel Syndrome and Pain Management. I am passionate about all areas of hypnotherapy but have a particularly keen interest in weight loss and weight management and run a busy practice in this very satisfying field which sees some clients lose as much as 12 pounds a week, which they then manage to keep off, unlike with many dieting programmes. I believe very much in teamwork with my clients and work hard with them to achieve their aims. The wellness centre is located in Deeside, Flintshire and is easily accessible by road and rail (on both the North Wales to Chester and the Wrexham to Liverpool railway lines). HM Armed Forces Veterans and NHS/Emergency Service Workers receive a free initial consultation and discounts on hypnotherapy services. Those directly affected by the Manchester attacks of May 2017 are eligible for free therapy sessions. Please contact me for further information. Therapy sessions from £60 - please call for details. Block booking for a number of sessions in a treatment programme will result in a discount. Free initial consultations and discounts available for HM Armed Forces Veterans and NHS/Emergency Service Workers. Free sessions for those directly affected by the Manchester attacks of May 2017. Please see my clinic Facebook page or website for further details. Enquiries and advice are free, so if you are wondering whether or not hypnotherapy is for you then please do not hesitate to contact me. 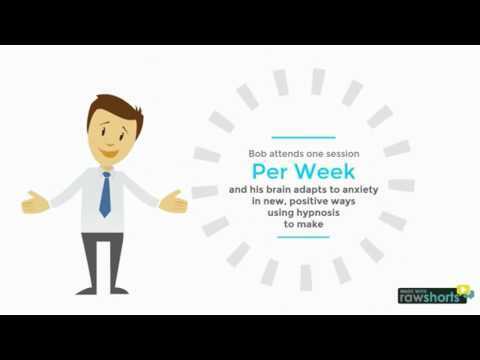 You are not alone if you worry about hypnosis at first but a simple chat with me can often allay these fears that many people experience, particularly those who have seen hypnosis performed for entertainment. I assure you, it is nothing like you see on the television and is very safe indeed. Hypnotherapy sessions may, if desired, be accompanied by other psychotherapies or acupuncture/acupressure. This may be of particular interest to those dealing with depression, anxiety, addictions and pain. Please enquire with me if this is of interest to you. All treatments are planned between myself and the client prior to a treatment programme being agreed. When messaging via the Hypnotherapy Directory, please include a mobile phone number in order that I can send a text message confirming a reply has been sent. This prevents you losing my reply into your spam folder. Monday to Saturday, flexible hours to suit most clients. Please enquire.